Rev. Adefolaju Ashaye(also called Dele), is a third generation Methodist, with interdenominational focus. He has a diversified work experience as Teacher, Pastor, Evangelist, Farmer and Counsellor. With his wife Margaret, they have a passion to see Marriages and Families flourish. They are Biblical Counsellors on Relationships and Marriages. They run Seminars for married couples and mature singles.They also welcome invitations for speaking engagements from churches and Christian groups. 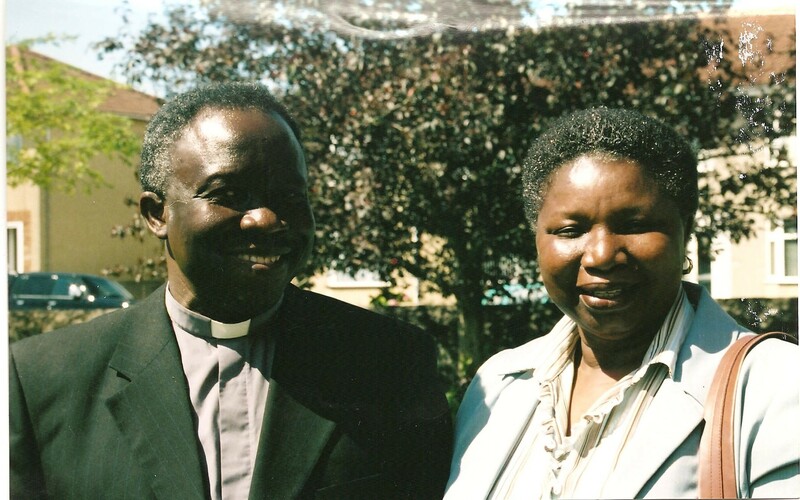 Margaret is a Registered Nurse and an Evangelist to children.They are blessed with six children (three plus their three spouses)and grandchildren. Thank you for your words of encouragement. Please keep on visiting . Grace be with you. In Psalm 23 the words THE LORD IS speak of our God who is in supreme control and who never changes HE IS and HE IS THE LORD the commander in chief. This this is the God we adore THE IMMOVABLE MOVER THE UNCHANGING CHANGER. My dear brother and sister and all in agapefocus you are doing a good job keep it up LOVE NEVER FAILS .1st corinthians 13 verse 8. Stay blessed in the love of God amen. It is good and encouraging to read your comment. Thank you very much. Please keep on visiting. Grace be with you. The new forum and ministry will create spiritual awakening and equip readers in the knowledge of the Word. Indeed,This treasure is from God(2nd Corinthians 4:7). Congratulations and may the Lord bless your work of Faith. Amen. Thank you very much Sir for your visit and encouraging comment. You are welcome; and please , keep on visiting and commenting. i love u mummy may God be with you and your family may God be with your ministry i thank God for life. Thank you Tunde. The LORD bless and keep you. We love you too. Compliments of the season to you and your family. We indeed bless God for the awesome work that He is doing in and through agapefocus.For though your beginning be small ,your latter end indeed will be great as God does not despise the days of little beginnings. I was indeed encouraged by the topic on Smiling because as simple as it seems it does make a huge difference.I still remember a smile that was directed at me by a complete stranger many years back when I was still in Secondary school. I was having one of those off days but that smile made such a huge difference even up till now. So by sharing a smile with someone,you might just be saving a life. Am sure we also remember that our God does have an incredible sense of humor,so please do keep smiling,if for no other reason other than the fact that Jesus still loves us. Daddy,thank you for the taking leap of faith into the relatively unknown.May He honour your obedience and may you go from strength to strength,Shalom. Dear Deola & Bayo, Thank you for your mail. What an encouragement it is to us! You shall not lose your reward in JESUS’ name. Please feel free to contribute both ex- and in-camera.